Actor Will Smith once said, “Too many people spend money they haven’t earned, to buy things they don’t want, to impress people they don’t like.” Too many of us let material, worldly ideas rule over our finances. We need to take a clue from this kitten and align our finances with our values. This kitten longs for something more than the material, for being a part of something bigger than herself, and, as a result, this kitten puts her finances to work on things that are more than material. Find out your top five passions, using the tool at the bottom of this post. Then, accomplish what you want with your money like this kitten. She values adventure as well as intimacy. As a result, she invests her finances in helping sponsor exotic family reunions. She values health and, as a result, pays for a regular gym membership and buys quality groceries. She values security and, as a result, puts a larger portion of her finances than most into savings, but also values generosity, giving away a large percentage of her money to charities and friends. Achievement, Accomplish something significant in my life. Aesthetics, Appreciate beauty and be artistically creative. Authority, Be able to direct the activities of other people. Autonomy, Have the freedom to do what I want. Generosity, Give time and/or money to benefit others. Health, Maintain an overall sense of well-being. Integrity, Be honest and straight forward–just and fair. Intimacy, Have close personal relationships, sharing life with others. Pleasure, Experience personal satisfaction in what I do. Recognition, Be seen as successful, with acknowledgements. Security, Feel stable and comfortable with few anxieties. Service, Contribute to the quality of life for other people. Spiritual, Be in harmony with myself and the world. Wealth, Acquire an abundance of money and possessions. Wisdom, Have insight and enlightened clear judgement. Now, dream big. Be creative and figure out how your finances can serve you to meet these goals. 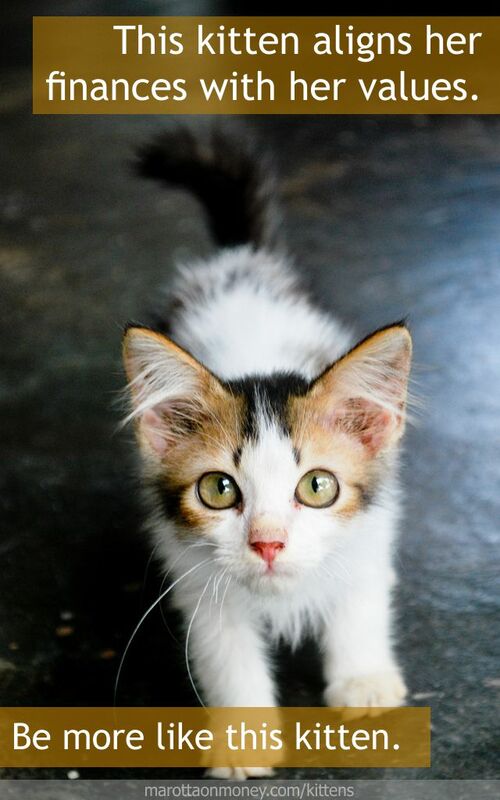 Photo of Bulat taken by Dizza Ramli and used here under Flickr Creative Commons.